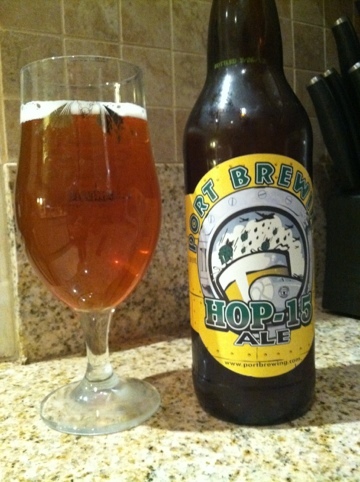 Port brewing Hop 15, Craft your own “jump” puns inside! After rounds and rounds of varying Mongo, this amazing gem comes and flips the script on the hop game. I was all reluctant at first but then this amazing hop bomb detonated all over my grill. My face. Not my barbeque. The character of this beer is a radiant hue of gold and brass. The nose can be compared to a summer’s day, in a manner totally unlike all others. It isn’t hot, it – god damnit this is a Fantastic beer but it is impossible to write this on my phone. Game over. Insert coin to continue.